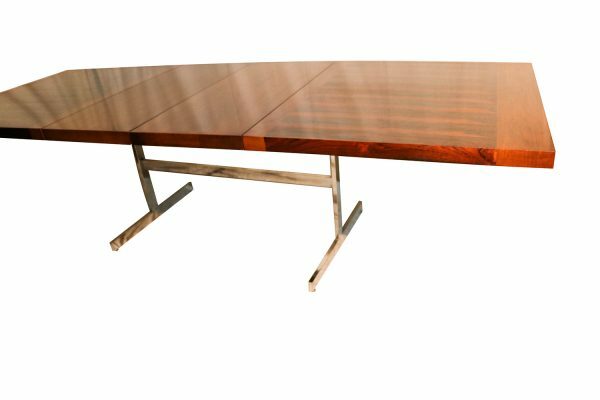 Gorgeous rosewood extending rectangular dining table/conference table designed by Alfred Hendrickx and Manufacture by Belgian company Belifor. 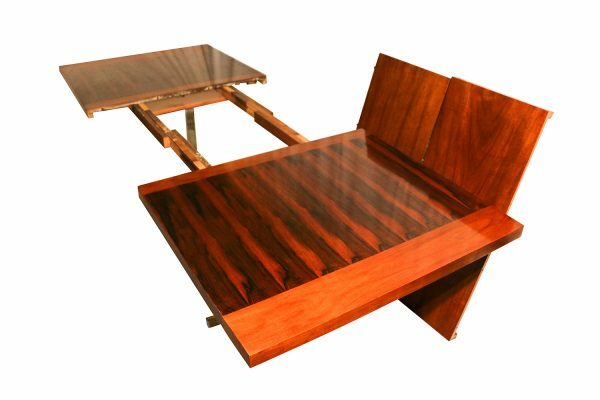 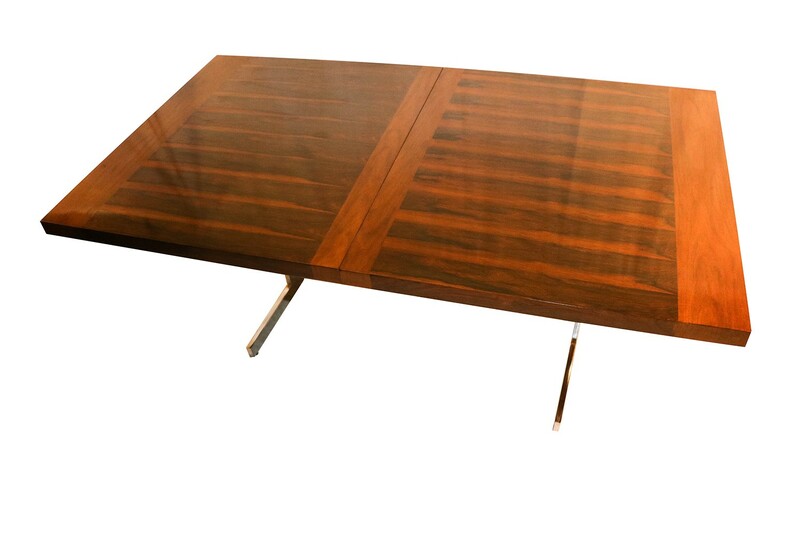 A very rare Rosewood extending Dining Table to seat 10 people Designed by Alfred Hendrickx and Manufacture by Belgian company Beliform, circa 1960. 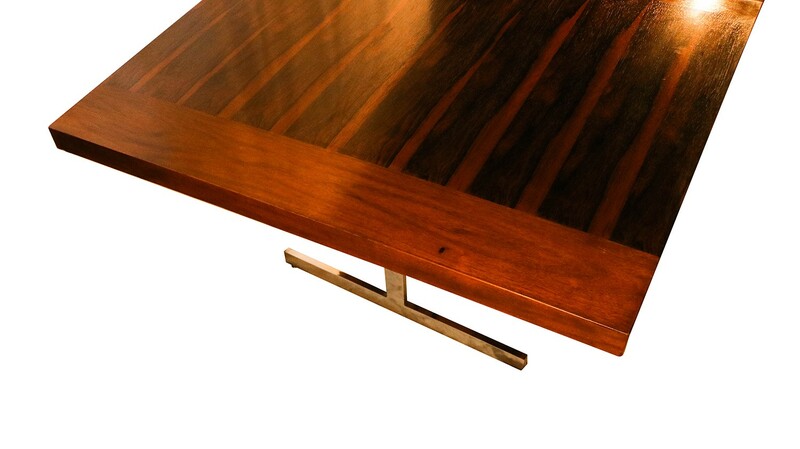 This gorgeous rosewood extending rectangular dining table remains in original excellent condition throughout, features beautifully grained rosewood veneer banded in walnut with matching walnut leaves, on an chromed frame. 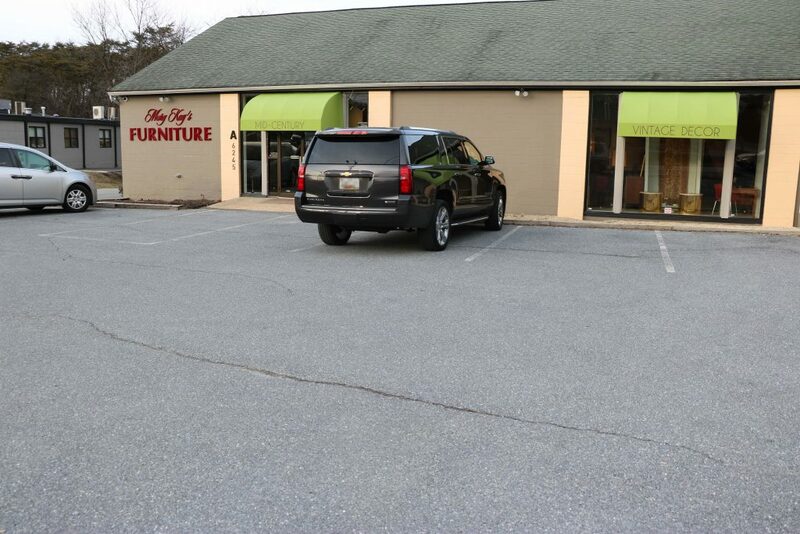 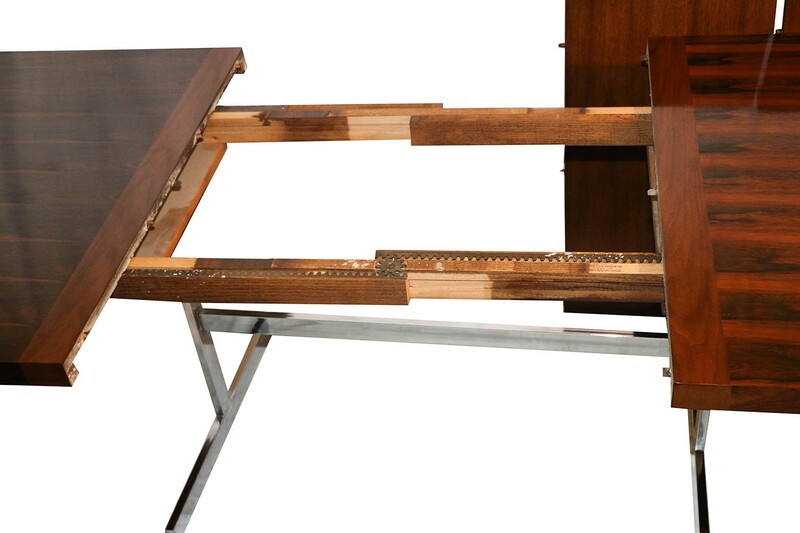 The frame easily expands open with a pull mechanism that runs on metal runners with bearings and runs smoothly with extending telescopic action allowing the table to extend to a full 108”. Fully extended it becomes a large conference table. 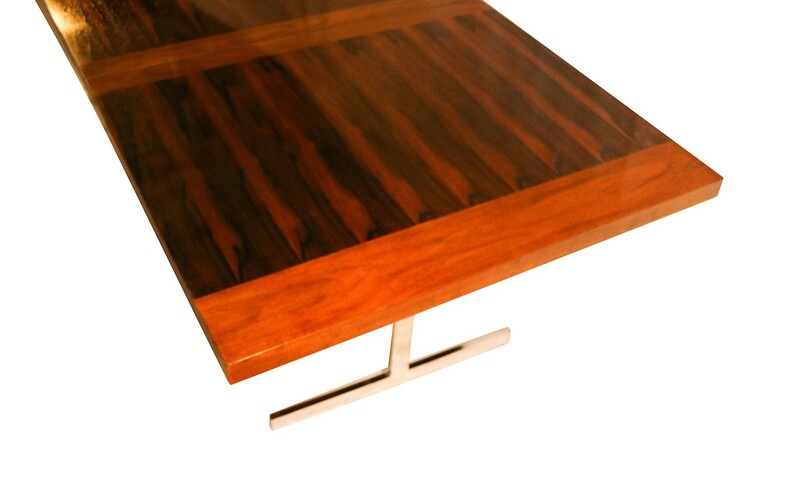 The leaves sit into place with a wood alignment pin and the table sits flat and true, raised on open thick polished chromed inverted T legs. 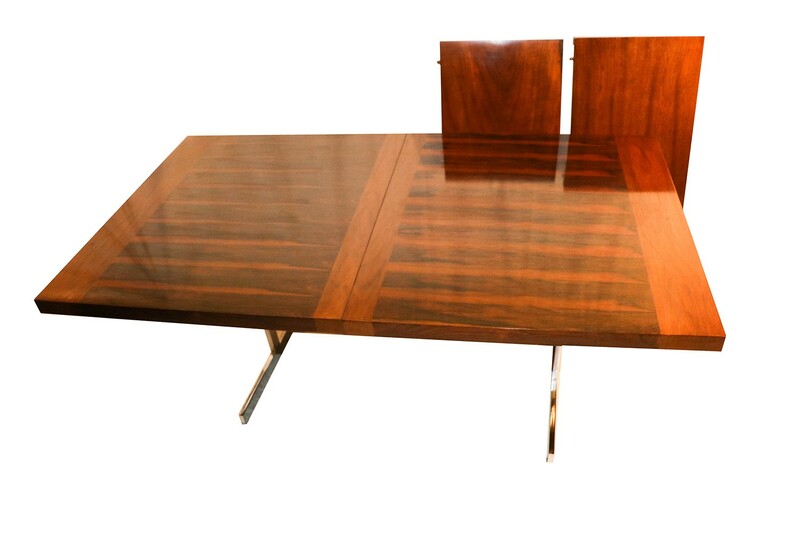 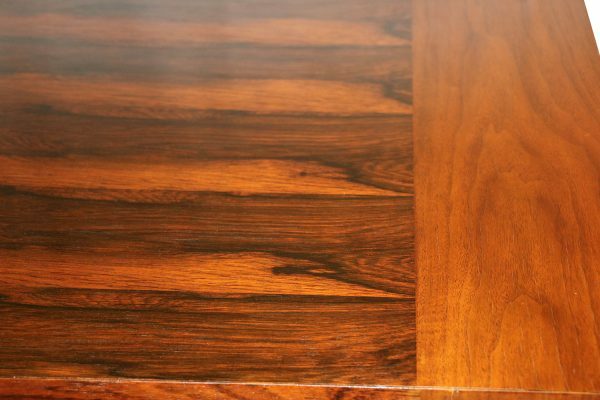 The rectangular table top all in a vibrant rosewood glow remains in good condition very solid, shows minimal signs of wear, the beautiful base is thick and strong, exquisitely constructed, characteristically sleek and functional and exudes, an aesthetic beauty as well making it perfect for the modern interior. 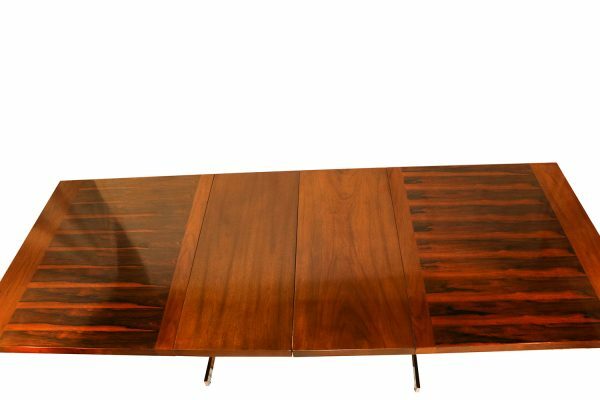 This is a wonderful table that offers two large walnut leaves changing it from a large size table to a large conference table. 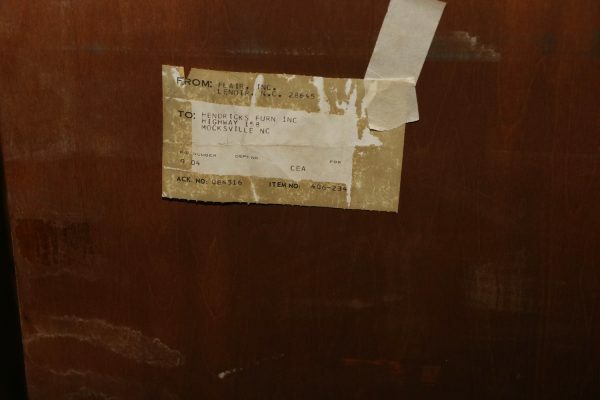 Each of the leaves is 18″ across, making this a versatile piece indeed, built to last the test of time. 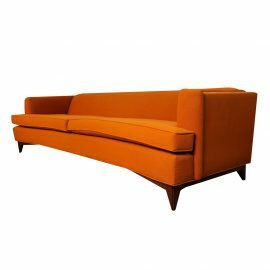 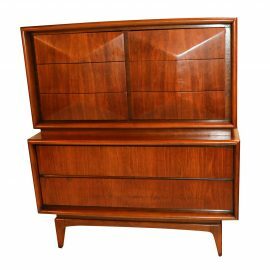 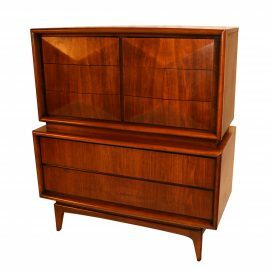 The Belgian designer Alfred Hendrickx (Hendricks) was one of the most prominent Belgium designers of the 1950s. 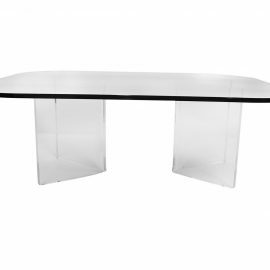 His designed were made by the Belgian company Beliform known for its good quality and modern style this table is a great example of his work. 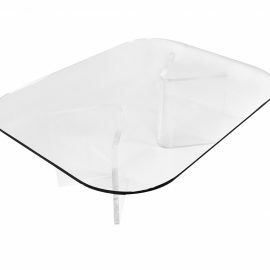 An elegant, stylish mid century rectangular rounded corners glass top, with Lucite base coffee table.